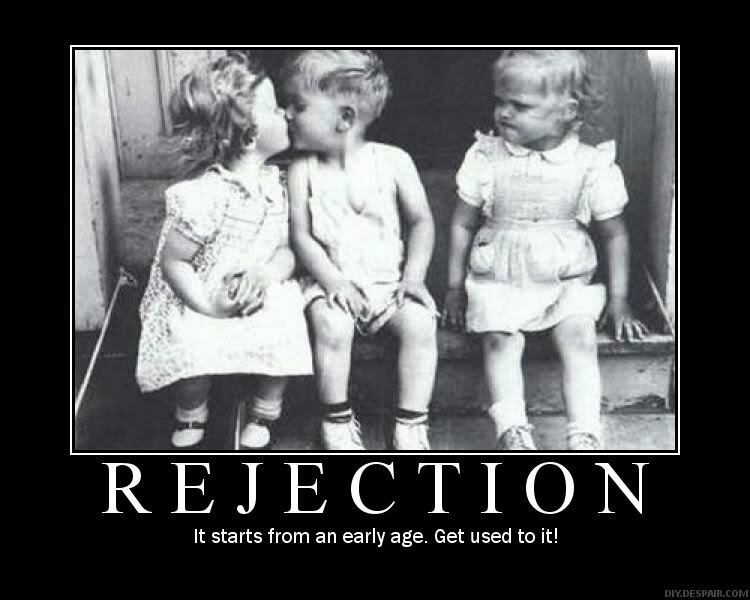 Racquel Writes: How Do You Handle Rejection? Hi all! It has been quite some time! Unfortunately life gets in the way, and I haven't been able to blog. BUT....I'm back in the game. I just thought I'd touch on the topic of rejection. I recently applied for an internship at a well known magazine and got turned down. I made it to what I would call "level 2" (after reviewing my resume and cover letter they gave me an assignment). I was so close. If I had gotten that internship, it would have been a big deal (to me anyway). It could have been GREAT for my career. I put everything I had into the assignment, but it fell short. I got an email a week later stating that the "competition was fierce" and they were going to have to pass. I was disappointed. I thought about all the jobs in the past that I had been rejected from. Then i realized I was rejected from those jobs because there was always a better opportunity waiting for me. Right after I graduated college I was in a slump. I couldn't find a job. I had been promised a job with the department where I worked as a student assistant. They kept stalling, and giving me the run around, so I finally just gave up and started looking for other jobs. I applied at a particular store in the mall (that shall remain nameless!) and they rejected me! I could not believe a retail store would reject a college graduate! I even had a good interview, if I don't say so myself! Then I came across an ad for a receptionist in a law firm. I interviewed and in a matter of two days I got the job. It's not the most glamorous job, but it's one of the best jobs I've ever had. I have more responsibility than I did when I started, I have gotten two raises, and my boss is flexible with my grad school schedule (and the people I work with are fantastic). I didn't get that internship because I am convinced that something bigger and better will come along. This can be applied to writing as well! If you get rejected, don't let it get you down. Maybe something much more fabulous is in store for you! 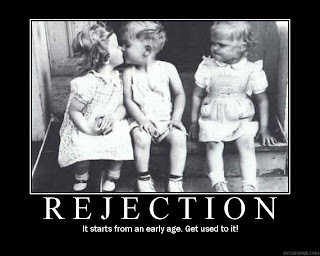 :) How do you handle rejection? Great post--and glad to see you're back on the blog. :) I've been dealing with rejections a lot, lately, but I try to look at it the same way as you. Maybe there's something better out there waiting for me. We can only hope and keep our fingers crossed, right? Right Pam! And you know what? You, Marquita, and I WILL make it. I am confident that there is something waiting for us...we just have to find it.